The case revolves around Gillum's relationship with former Tallahassee lobbyist Adam Corey. A complaint over Andrew Gillum's trips with a lobbyist in 2016 will get a hearing later this month, when state officials will decide whether there is probable cause that the former Tallahassee mayor violated state ethics laws. Gillum, who narrowly lost a bid for Florida governor last year and is now being talked about as a potential 2020 presidential candidate, will be present at the Jan. 25 hearing, his lawyer, Barry Richard, said. "I think it's clear that there's no credible evidence that he violated anything," Richard said. If ethics commissioners find probable cause that ethics laws were violated, records in the case become public and commissioners would later determine what Gillum's punishment might be. If commissioners find no probable cause, the case ends and the records also become public. The hearing, which isn't open to the public, was first reported by the Tallahassee Democrat. The complaint revolves around trips then-Mayor Andrew Gillum took with lobbyist Adam Corey and others in 2016, before Gillum launched his bid for governor. Tallahassee businessman Erwin Jackson, who filed the complaint last year, alleged that Gillum received benefits from Corey above the $100 limit during trips to Costa Rica and New York. Gillum has denied the allegations, and he has turned over receipts that he says shows that he paid his own way during the trips. The complaint received little attention, however, until the final two weeks of the election, when Corey's lawyer, former Rick Scott and Charlie Crist advisor Chris Kise, decided to release hundreds of pages of records that he had given to ethics investigators. 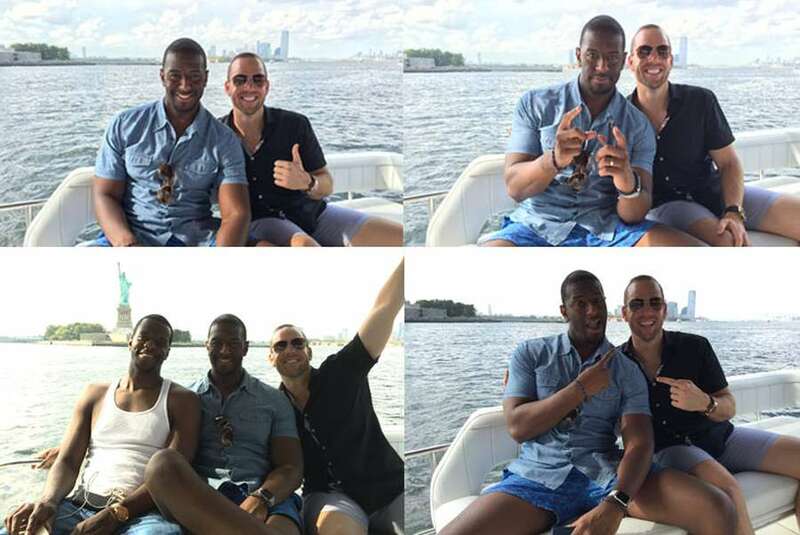 The records revealed that undercover FBI agents arranged outings for Gillum and his brother in New York, including providing tickets to see the Broadway musical "Hamilton." And they showed that one of the agents sponsored a fundraiser for Gillum in Tallahassee. The extraordinary revelations revealed the lengths FBI agents had gone to investigate Gillum, and they cast new questions about his ties to Corey, whom Gillum described as a friend who'd led him astray. No charges have been brought against Gillum, who has said that FBI agents assured him that he was neither a target nor a subject of the investigation. Jackson, who has long been a thorn in Gillum's side, said he would attend the hearing. Jackson has filed numerous ethics complaints against city officials over the years, including against then-Tallahassee City Commissioner Scott Maddox in 2014. That complaint alleged that Maddox was still involved with his lobbying firm, Governance, Inc., and that he didn't disclose the conflicts when the company had clients before the city. The ethics commission found no probable cause for the allegations, since Maddox had declared he'd sold his interest in the company before running for city commission. But according to the FBI, Jackson was mostly right. Last month, a federal grand jury indicted Maddox on 44 counts, including bribery and racketeering relating to his relationship with Governance while he was in office.